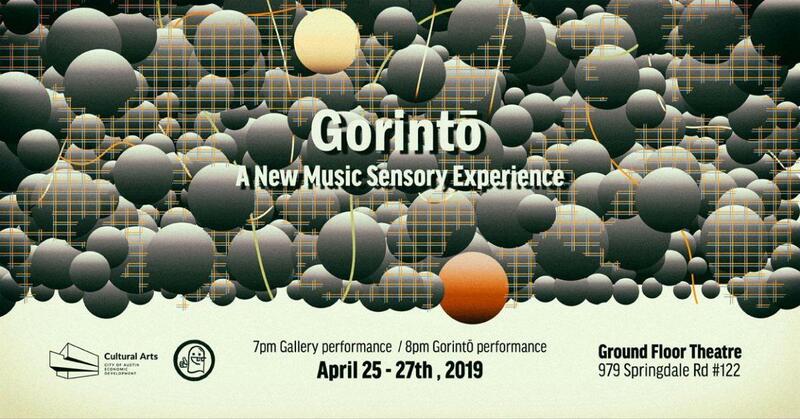 Gorintō is an intimate evening-length multi-sensory piece for 5 sound artists, exploring universality and set in the inverted round. The audience will gather in a circle centered in the space and are encouraged to lie down on a collection of pillows and rugs (as well as bring their own favorite comfort items) to experience a series of projections on a surface hung from the ceiling. The musicians will be positioned surrounding the audience, as will a truly surround sound speaker set up for maximal auditory experience. 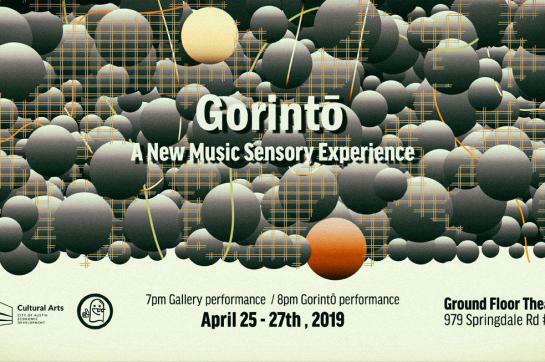 Gorintō is part soundscape, part classicist composition, part sound bath and part ASMR dream. Before each performance of Gorintō, there will be a guest artist performing in the gallery portion of GFT, as well as featured visual artist Amanda Jones also displaying in the gallery. To keep this show as intimate as possible, there will only be room for ~35 audience members per performance, so purchase tickets ASAP! Although the majority of Gorintō is atmospheric and meditative, there are moments of visual and auditory intensity. If you have any photo or auditory sensitivity, please be advised. The nature of this show encourages lying on a padded, slightly raised floor, please inform us in the notes section of your ticket purchase if you need any accommodations to make you comfortable in this environment.